Size of this preview: 701 × 599 pixels. Other resolutions: 281 × 240 pixels | 1,988 × 1,700 pixels. 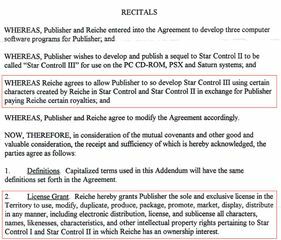 The beginning of the Star Control 3 Addendum, where Reiche licenses certain rights to Accolade to develop Star Control 3.
current 17:53, 18 May 2018 1,988 × 1,700 (328 KB) Pat (talk | contribs) The beginning of the Star Control 3 Addendum, where Reiche licenses certain rights to Accolade to develop Star Control 3. 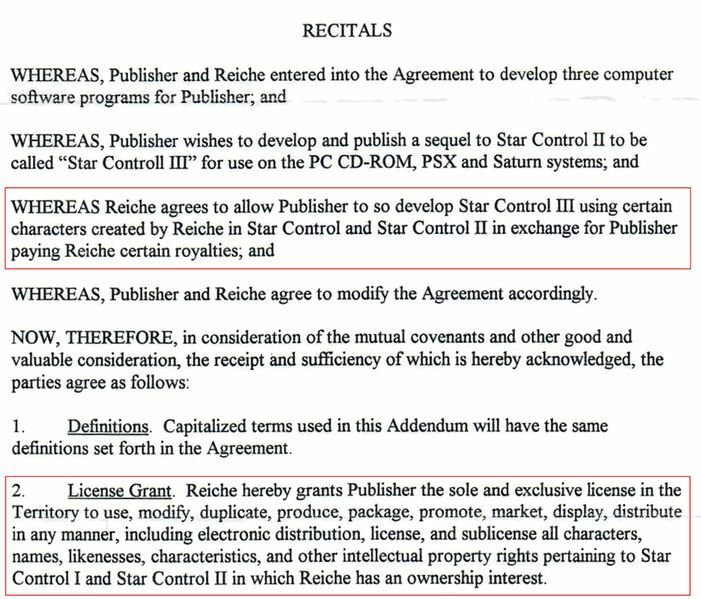 This page was last edited on 18 May 2018, at 17:53.